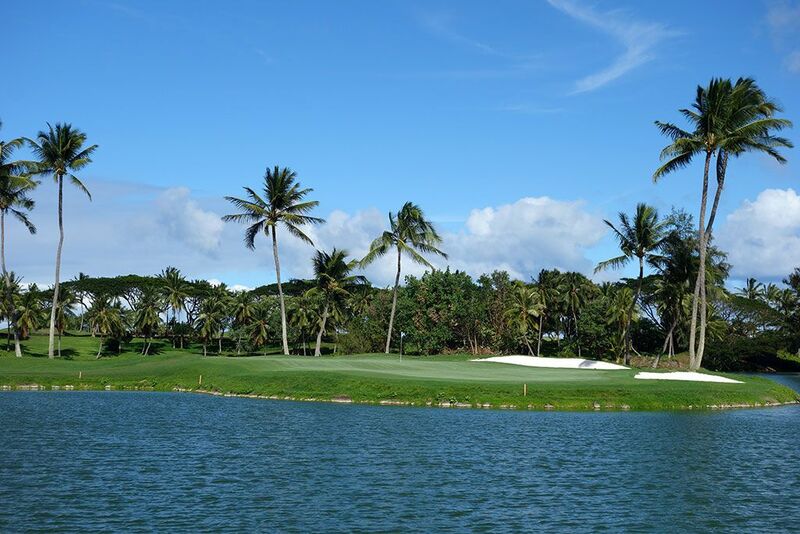 Course Website: Official Website - Visit The Ocean Course at Hokuala's official website by clicking on the link provided. 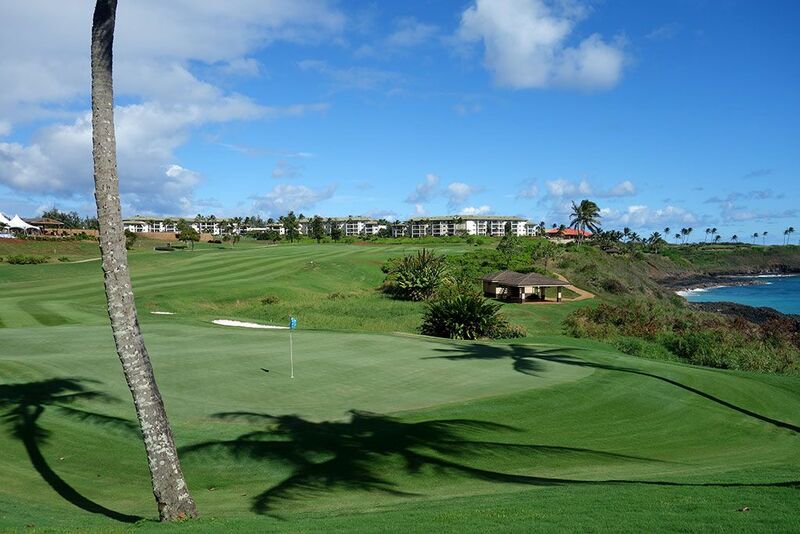 Accolades: Ranked 9th in Hawaii on Golf Course Gurus' Best in State list. 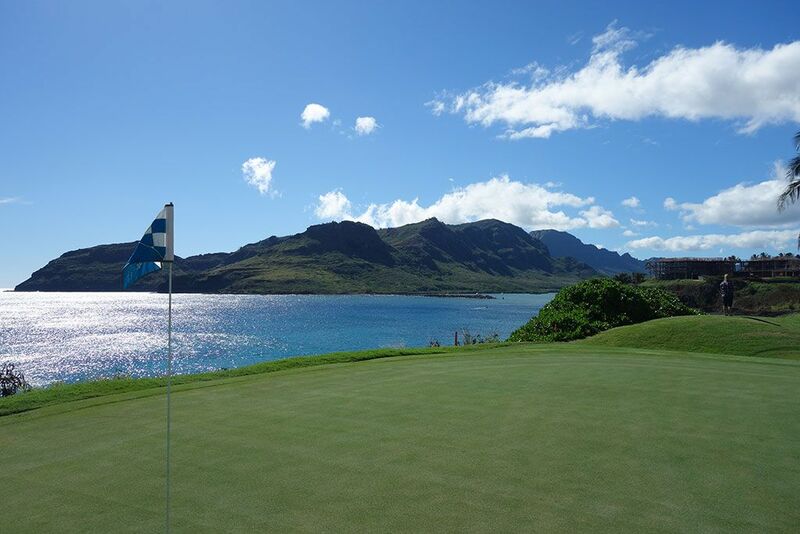 What to Expect: The Ocean course at Hokuala Resort is a spectacular Jack Nicklaus design on Kauai's southeastern coastline. 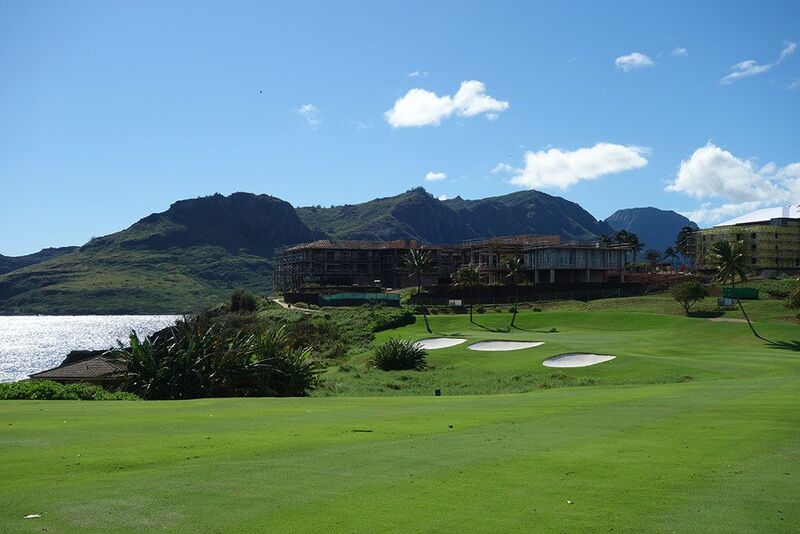 The course formerly consisted of 27 holes but in 2015 was revamped to capture the 18 most prime holes on the property and renamed from Kauai Lagoons to the Ocean course at Hokuala. The front nine consists of a couple of warm up holes before being presented with some dramatic forced carries and stellar par threes. 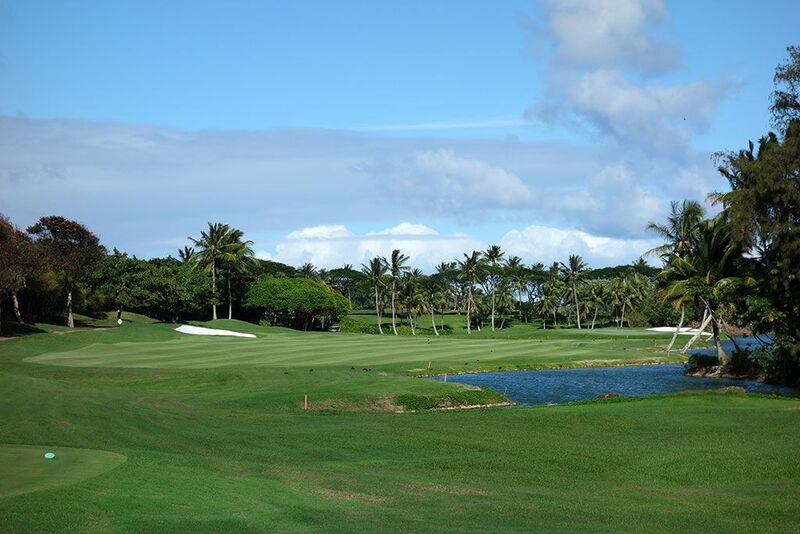 The back nine is the signature portion of the property with a 1/2 mile stretch of oceanfront holes worthy of gracing the cover of any Hawaii golf calendar. The front nine was closed for a renovation that included introducing TifEagle greens, new sand in the bunkers, and a trio of new holes that reopened in May 2011. 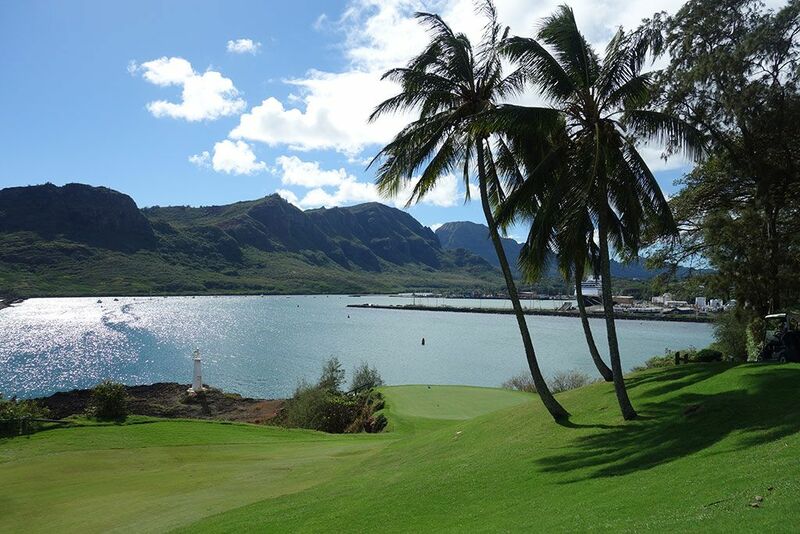 With its spectacular coastal holes, renovated conditions, convenient proximity to the airport, Hokuala is quickly becoming one of Hawaii's most coveted tee times. Signature Hole: 14th Hole – 210 Yard Par 3 – One of the most beautiful holes in all of Hawaii is found right here at Hokuala's 14th. 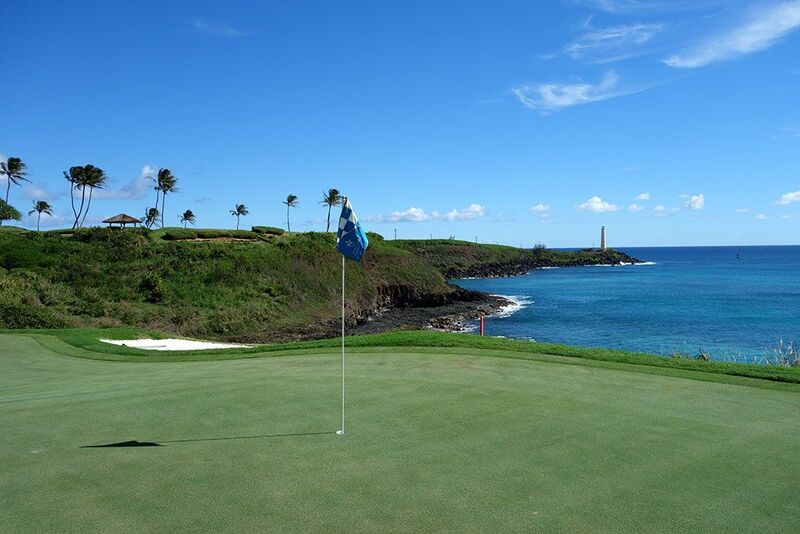 The tee shot plays slightly downhill to a green framed on the left by an ocean bay where stunning turquoise water rolls in wave after wave on the sandy beach. 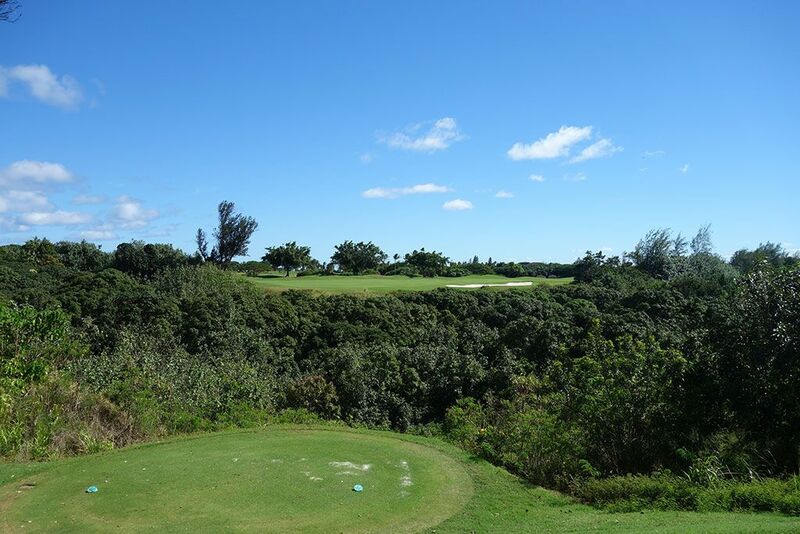 Players that don't want to challenge the daring shot over the ocean off the tee can lay up out to the right where a fairway hugs the cliffs before tumbling down to the green. A pair of bunkers flank the putting surface and palm trees dot the background that put the final touches on a paradisiacal setting. 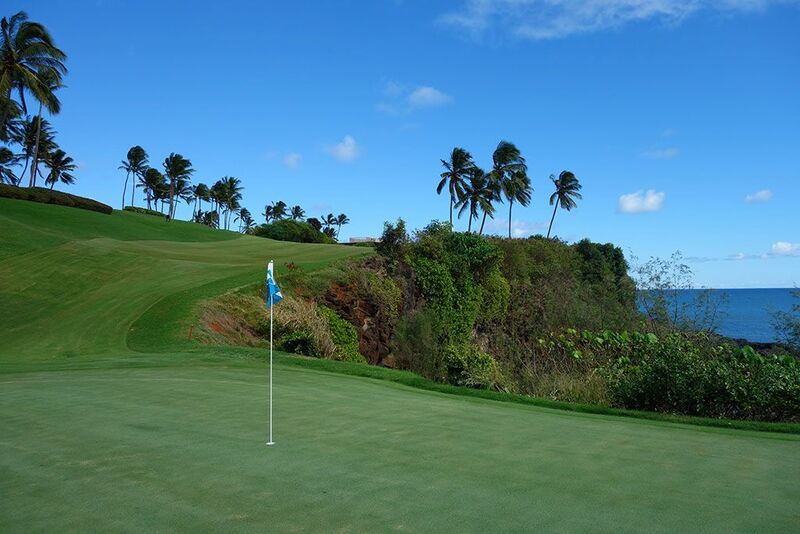 Best Par 3: 5th Hole – 219 Yards – While the back nine is known for its exposure to the ocean, the front nine is characterized by its encounter with Kauai's famous jungle terrain. 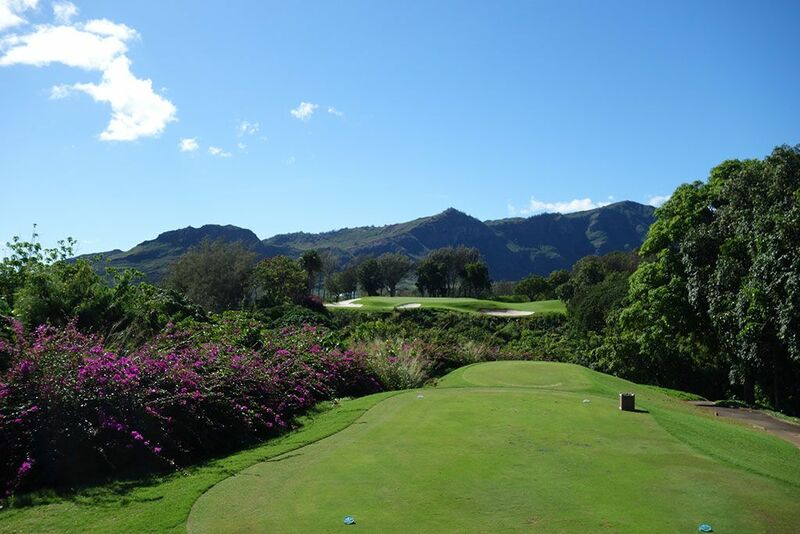 Here at the 5th players are faced with perhaps the most daunting shot at Hokuala where the tee shot must carry a jungle crevasse to a perched green surrounded by bunkers while stunning green mountains create the backdrop. Shots that come up even slightly short will likely be kicked down to the jungle bottoms where hundreds of Pro V1s can be found resting. 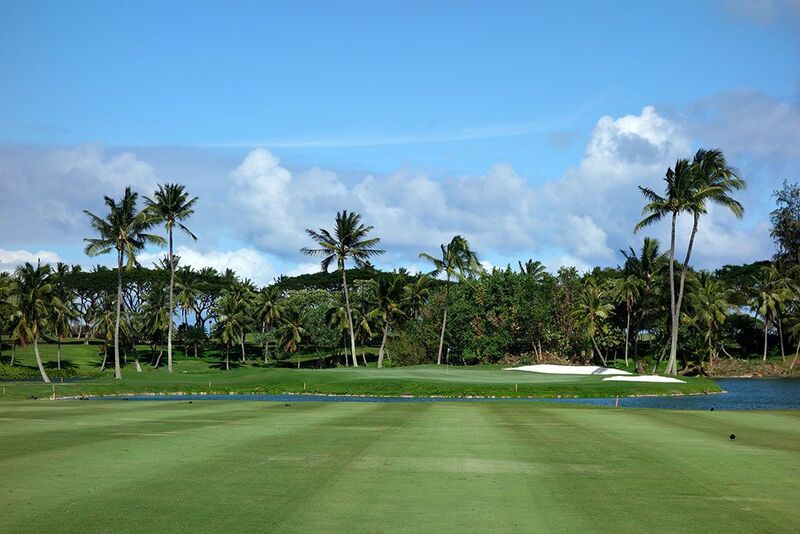 Players successful in reaching this green in regulation are rewarded with one of the most satisfying shots at Hokuala to conquer. Best Par 4: 15th Hole – 473 Yards – Following the stunning 14th is this lengthy par four that follows the coastline as it doglegs left to a two-tiered greensite. Players will be faced with a lengthy approach shot and would be wise to feed the ball in off the bank on the right side of the green rather than challenging the green directly and risk losing the shot to the ocean on the left. 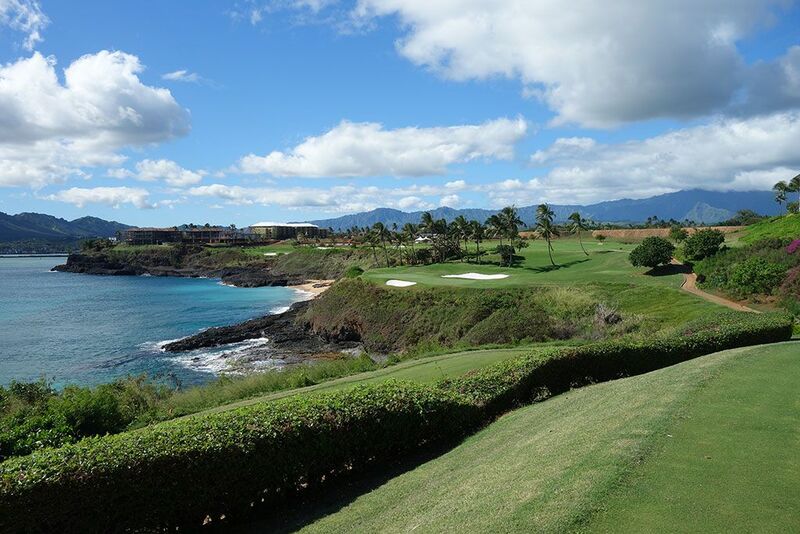 Hokuala boasts the longest stretch of coastal holes on Kauai and the impressive 15th is a significant reason why. Best Par 5: 6th Hole – 519 Yards – The 6th is all about the tee shot; a heroic drive over a deep jungle to a fairway flanked by more jungle on the right. 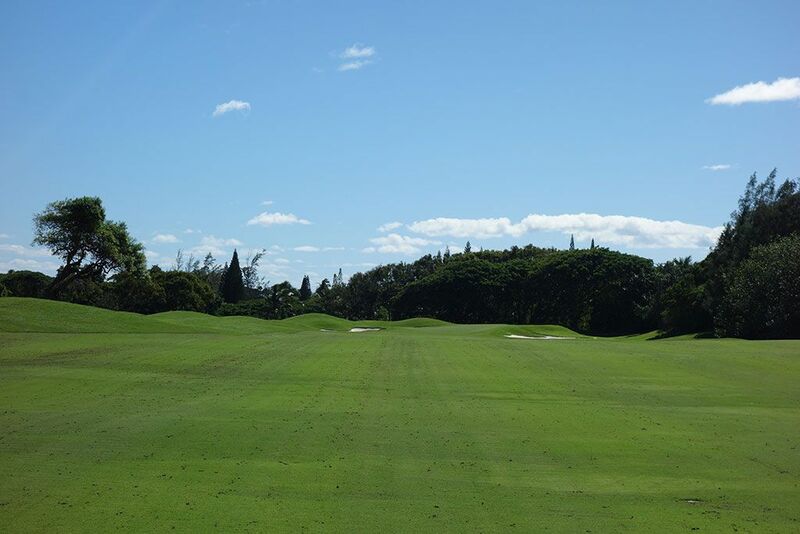 Players that successfully find the fairway will have an opportunity to attack this sloping green in two where the front is unprotected and the sides boast white sand bunkers. Be careful with your yardage on your approach because going long will likely get lost in the thick foliage beyond. 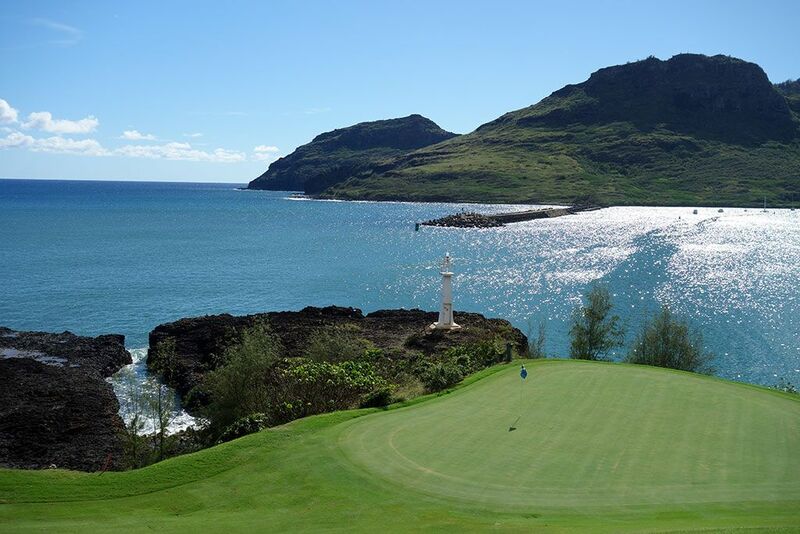 Birdie Time: 16th Hole – 331 Yard Par 4 – The final coastal hole at Hokuala is also its most photographed due to the lighthouse feature standing on the rocks left of the fairway with the fairway and mountains creating the perfect backdrop. 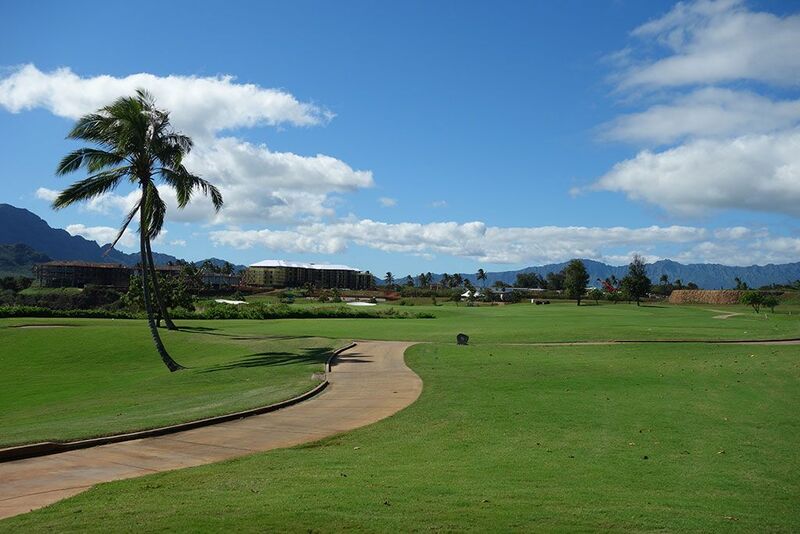 From the tee players have limited view of what lies ahead other than clear knowledge of the Pacific Ocean framing the entire left side of the hole. A tee shot that splits the middle will crest out of view and tumble down the fairway with a chance of reaching the green or at least settling into the rough on the left side with a great chance of getting up and down for bird. A steep hill sets the right side of the fairway and you don't want to get stuck in that rough otherwise hitting your approach shot tight will be a very tough proposition. Arguably the signature hole, this is a great chance to card a birdie and walk away with a smile on your face. Bogey Beware: 18th Hole – 459 Yard Par 4 – This hole is flat out brutal. Already lengthy at 459 yards, this hole plays back into the prevailing wind to one of the most undulated greens on the course with only a walking path on the back side keeping it from being an island target. No matter where the pin is, the prudent play is to the back third of the green to prevent a gust knocking your ball into the water, or to just lay up and then try to get up and down. There is no doubt this green in reached in regulation less than any other on the course, so if you thought Mr. Nicklaus was going to give you a break on the home hole then you are in for a big surprise.